If you’re sick of your Facebook insights showing you that your posts only reach a fraction of your followers organically, or you’re looking for a new marketing channel to add to your digital strategy for this year, then you might want to look at Paid Social, and in particular Facebook advertising. With Facebook constantly expanding their advertising real estate (which by now includes Instagram and Messenger in addition to Facebook and its partner network), there’s plenty of new places where you can reach your target audience. Speaking of target audience, whether you want to remarket to existing customers, find potential new leads with the help of Facebook’s lookalike audiences or use their almost endless targeting options to really recreate your buyer persona, with Facebook you can go very, very specific. It’s cost-effective. Unlike other social media advertising platforms (*cough*LinkedIn*cough*), you don’t have to spend a fortune with Facebook if you don’t want to. When managed correctly and optimised, your Facebook advertising account can give you a cost-per-click comparable to those from similar Paid Search campaign, and depending on your objectives, you can also get a good ROAS, so in the end, it can easily pay for itself. We could go on with more reasons why you should give Facebook advertising a go, but that’s not what this blog is about. If you’ve made up your mind and can’t wait to get started with your first Paid Social campaigns, we’re here to lend you a helping hand. Facebook make it extremely easy to advertise on their platform. If you have a Facebook Page, you can just opt to boost one of your posts from there, add in the payment details, your budget and target audience and you’re all set. BUT, resist that impulse. Create a dedicated Facebook advertising account and link it to your Facebook page. Don’t forget to fill in all the business information needed, and if you want to take advantage of more advanced features or you have several people that will require access to the account, it’s a good idea to upgrade this to Facebook’s Business Manager and, you guessed it, manage it from there. Set up your Facebook pixel and implement it on your website. This is crucial if you want to optimise your campaigns for purchases, for example, and you want to keep track of ROAS. Not to mention setting up custom audiences and other useful features. Don’t forget to add events to the pixel and test it to ensure it’s working correctly and you’re getting all the data you need in Facebook. Bonus tip – it’s a good idea to keep an eye on Google Analytics too, to learn more about what people do on your website after they arrive from your Paid Social campaigns. For example, if you have an unusually high bounce rate, then there may be an issue with your landing pages – are they mobile-friendly? Make sure to set up a new channel for Paid Social and don’t forget to add manual URL tags to all the links you use with your Facebook advertising campaigns. Start building your audiences, especially the custom ones which need some time to populate. Review Facebook’s attribution window and change it if needed. By default, Facebook’s attribution window is tailored to the way users interact with social advertising and the time it normally takes them to convert (think less direct conversions, and more assisted ones), which is 1-day view and 28-day click. However, if you’re interested in tracking only people that convert faster, you can reduce that to 1-day view and 1-day click. The decision is yours. Create a strategy – decide which type of campaigns you want to run, what are their objectives, and what kind of assets do you need? There’s plenty of ad formats to choose from, and they all come with different size specifications. Plus – remember the 20% text rule – if you want your ad to run on Facebook, it needs to have less than 20% text in the image you’re using. Bonus tip – don’t use only images, make sure to experiment with video too, as this tends to have better engagement rates on social media. Now that everything’s set up correctly, you’re good to go. You can follow Facebook’s guided ad creation in the Advertising Manager to easily set up your first campaigns, but make sure to follow your strategy and maybe experiment with a lower budget at first. Choosing the right objective for your campaign might be the most important part, so ensure you align this to your goals. Do you want to improve engagement on Facebook, drive more traffic to your website, or gain more sales? You can also set up several ad sets within the campaign to see which ones perform better and apply different target audiences to each ad set. For example, you could look at a custom remarketing audience versus an interest-based one. This is also the level where you set your budget, so you can give different budgets to each ad set. Bonus tip – If you’re working with a smaller budget, it’s a good idea to edit the placements where you want your ads to be seen and choose the ones that will work best with the ad format you’re using. You can also implement advanced scheduling options so your ads aren’t running non-stop. Last bit left is to create your ads. Experiment with several ad variations, do split testing, and try different text options (with emojis, without emojis), to gain better insights into what works well for you and what’s a definite No-No. If you’re only starting out, it can take a while until you start seeing results from your Paid Social campaigns, as you’re in the initial phase of experimentation. What works in AdWords doesn’t necessarily work for Paid Social, so it can take time to find the right combination for Facebook advertising. You should also let your ads run for at least 2-3 weeks, so Facebook has enough time to optimise delivery, and you can gain enough data to start analysing performance properly. You should get a better picture by month 2 or 3, although depending on what results you want to achieve, you could see some good results even faster. Make sure to monitor your campaigns closely and adjust budgets, placements and ad variations based on performance. It’s also good practice to keep track of performance and have a record which you update constantly, and then look at overall performance for every month. As you’re gaining more insights into what performs best, you can start fine-tuning your campaigns, or try out new ad formats or objectives. 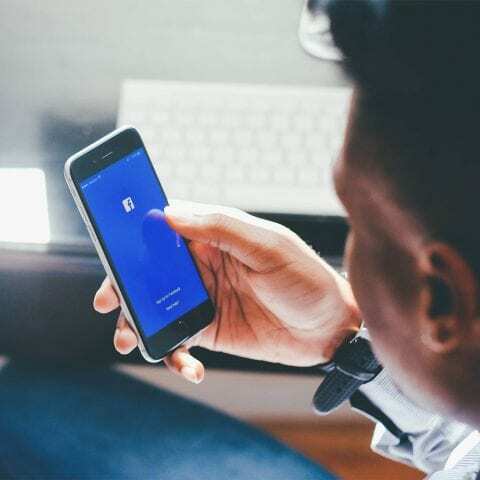 Social media is ever-changing and Facebook is certainly at the forefront of this, so it’s also good to keep an eye out for any new features they’re introducing that you can take advantage of. Now, if you’ve read this whole article, first we want to thank you for your patience (we know, it’s a bit long) and second, we hope it’s been really useful! But, if you feel like this is all a bit too complicated and you need a professional to handle Facebook advertising for you and get you the results you need, without the headache, just say [email protected].